A proposal to provide new homes within a considered landscape framework. 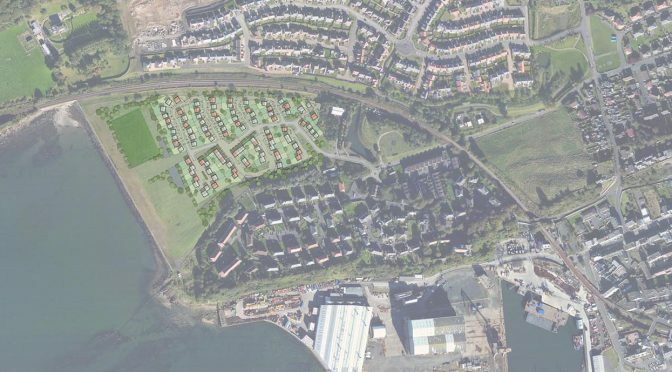 This masterplan provided a strategic framework for the provision of approximately 100 dwellings overlooking the Firth of Forth, comprising a mixture of detached and terraced houses. The layout was designed in accordance with ‘Designing Streets’ guidelines. Rather than long stretches of tarmac, access to houses would be established via shared-surface landscaped routes, creating variety and interest. There was a focus on creating views through the development, and enhancing the area with quality landscaping and safe play areas. The layout was supplemented by a proposed recreational area on the west side of the development, overlooking the water, to provide meaningful landscape amenity for residents and visitors.